Shabby Apple: Free shipping and there is a huge sale going on! One of my all-time favorite clothing sites, Dresses from Shabby Apple are amazing – retro, formal, casual, or fun, they have something for everyone. AND their shoes and accessories are amazing. Modcloth: ModCloth Retro & Cute Apartment Decor! Shop Now! Another one of my favorite shops, Modcloth has a huge selection of clothing to fit everyone’s style, shoes and accessories at fantastic prices, and fun and quirky gifts and home decor. ecomom is committed to making eco-conscious living easy, affordable, and rewarding. We empower moms’ and their commitment to take better care of their families and themselves by providing easy access to the world’s best, healthiest, and safest products. From organic baby food to cloth diapers, wood toys and non-toxic house cleaning supplies, our product curation and acclaimed customer service sets us apart. Along the way we even provide some education, support, tools and feedback from other moms – we empower them to take the all important first steps toward a healthier, more balanced, and sustainable lifestyle. 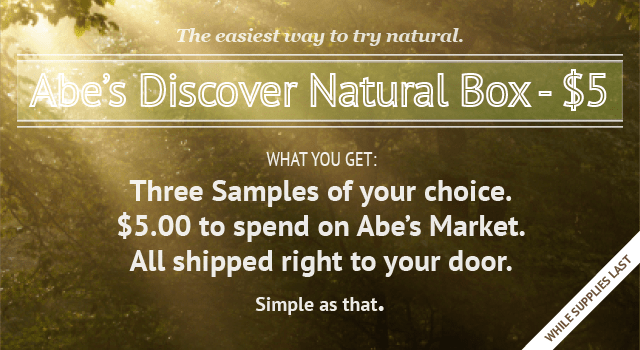 One of my new favorite places to buy healthy goodies and products! From healthy snack foods to vitamins, to cleaning products. Plus their site is beautiful! I have some of their foundation on the way! Melissa and Doug: Free Shipping On Any Order Of $50 Or More Now At MelissaAndDoug.com! (use code freeship50) Take An Additional 10% Our Toy Value Sets Now At MelissaAndDoug.com! Use Code: VALUE At Checkout! Click Here! Free Personalization on All Toys Now Through 9/2/13! For over 25 years Melissa & Doug® has created toys, games, and more with an emphasis on value, quality, and design. From puzzles to puppets, plush toys to play food, magnetic activities, music, wooden toys, and much more, Melissa & Doug® has something for everyone. In fact, meliss&doug.com offers over 2,000 unique and exciting products to both engage and educate children of all ages. And with its exclusive Sunny Patch™ outdoor lifestyle collection, classic toys, and value-priced arts and craft kits, MelissaAndDoug.com customers will always find the perfect gift that’s fun and educational, too! What’s more, MelissAndDoug.com offers ongoing specials and a toy & birthday loyalty club with super savings. Gummy Lump: 20% off Kids’ Birthday Party Favors and Activities Now At GummyLump.com! Click Here! Toys that make sweet memories…We are dedicated to retailing only the highest quality and most unique toys, building blocks, and puzzles available. Our goal is to bring you the best selection of creative & educational toys for children Ages 0-6. Pretty much where I do most of my clothes shopping – pairing their coupons with Kohls Cash and you can get lots of free stuff and great deals! The World’s Biggest LEGO Shop FREE Friends Ice Cream Stand & Free Galaxy Squad Mini Mech! Summer may be starting to wrap up, but there is still plenty of time for some LEGO fun in the sun! That’s why for the month of August we will be giving away a FREE LEGO Friends Ice Cream Stand set with any LEGO Friends purchase! For those who would prefer an outer space adventure, we will also be offering a FREE LEGO Galaxy Squad Mini Mech with any purchase of $50 more through the 15th. FREE Ice Cream Stand with any LEGO Friends Purchase. FREE LEGO Galaxy Squad Mini Mech with purchases of $50 or more. FREE Exclusive Mini Volkswagen T1 Camper Van with purchases of $75 or more! Valid 9.1.13 – 9.30.13 or while supplies last. Save up to 30%. See what’s on sale! PetSmart: 4 Days Only! Save up to 50% During the Labor Day Sale at PetSmart.com! Offer Valid 8.30 – 9.2. Save $10 on $75 or more, $20 on $125 or more, $30 on $150 or more at PetSmart.com. Receive Free Shipping on orders over $60. Enter Code SAVESEPT at checkout. Offer Valid 8.26 – 9.1. 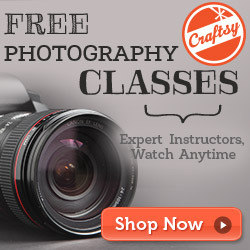 Craftsy: Lots of different crafty online classes at a great price! They even have free mini-classes! 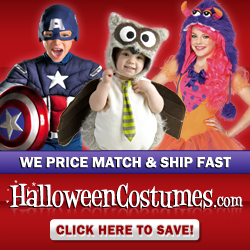 Halloween Costumes.com: Labor Day Discount – 10% off all kids costumes! A huge online store of all kinds of costumes and decorations for Halloween! Payless Shoes: Shop the Payless.com Labor Day Sale! Take an EXTRA 40% OFF ENTIRE STOCK CLEARANCE Items + FREE SHIPPING with a $30 Purchase from Payless.com! Valid 8/30/2013 through 9/2/2013. Use promo code ZZFREESHIP at checkout. Shop the 4 Day Back To School Sale! Get 20% Off Regular Priced Merchandise & FREE STANDARD SHIPPING with a $30+ Purchase from Payless.com! Valid 8/30/2013 through 9/2/2013. Use promo code ZZSCHOOL at checkout. Tiny Prints: Everything 25% off! Photobooks, business cards, stationary, gifts, and more!